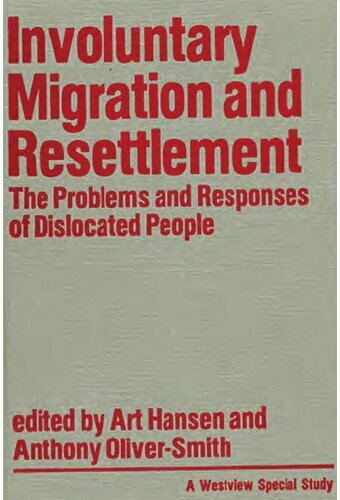 The work on involuntary resettlement has focused on the impacts of displacement, place attachment, resistance movements, and resettlement project analysis. The work on disasters has focused on issues of post-disaster aid and reconstruction, vulnerability analysis and social organization, including class/race/ethnicity/gender based patterns of differential aid distribution, social consensus and conflict, and social mobilization of community-based reconstruction efforts. He has authored, edited or co-edited 8 books and over 70 journal articles and book chapters. 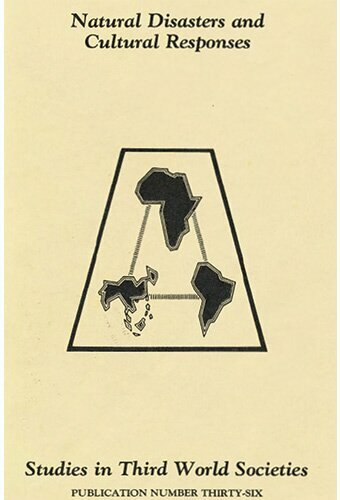 Anthony Oliver-Smith is Professor Emeritus of Anthropology at the University of Florida. He is also affiliated with the Center for Latin American Studies and the School of Natural Resources and Environment at that institution. 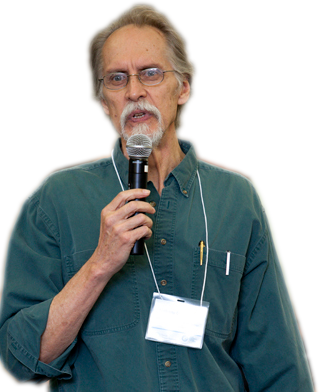 He has held the Greenleaf Chair of Latin American Studies at the Stone Center for Latin American Studies at Tulane University(2008) and the Munich Re Foundation Chair on Social Vulnerability at the United Nations University Institute on Environment and Human Security in Bonn, Germany(2007). He has been awarded the Bronislaw Malinowski Award of the Society for Applied Anthropology for 2013 for his lifetime achievement and work in disaster studies and resettlement research. He has done anthropological research and consultation on issues relating to disasters and involuntary resettlement in Peru, Honduras, India, Brazil, Jamaica, Mexico, Japan, and the United States. He has served on the executive boards of the National Association of Practicing Anthropologists and the Society for Applied Anthropology and on the Social Sciences Committee of the Earthquake Engineering Research Institute. He is also a member of La Red de Estudios Sociales en Prevención de Desastres en America Latina and is on the editorial boards of Environmental Disasters, the International Journal of Disaster Risk Reduction and Desastres y Sociedad. He is currently a member of the scientific committee on Integrated Research on Disaster Risk of the International Council for Science and the Climate Change Task Force of the American Anthropological Association. 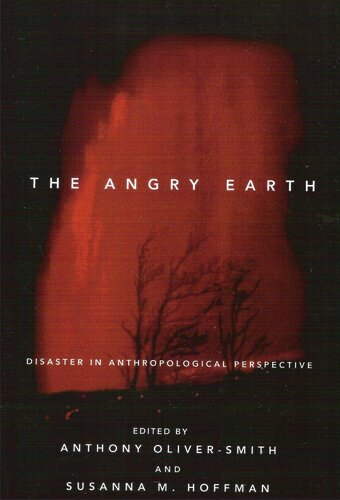 Disasters are densely interwoven with anthropology's research agenda, particularly in regard to adaptation. There are few more bitterly contested issues in the field of development today than the displacement and resettlement of people and communities by large-scale infrastructural projects. WHEN HURRICANE KATRINA STRUCK THE GULF COAST AT THE END OF AUGUST 2005, it displaced well over 1 million people and by some estimates as many as 1.5 million people. Disasters have become a metaphor for many processes and events currently unfolding in the contemporary world. In scholarly and popular literature, the word "disaster" is frequently associated with a wide array of contemporary problems. The twenthieth century saw enromous numbers of people set in motion against their will. For example in 1999, civil and international conflicts produced twenty-one million refugees who fled accos international borders to escape violence. 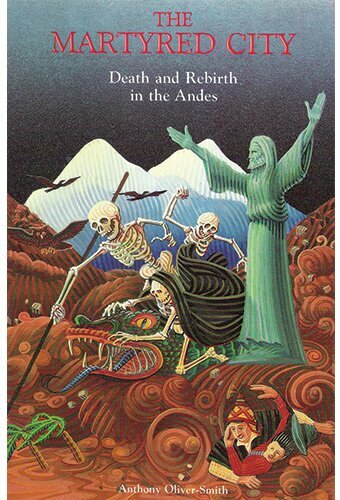 The impact of external economic factors on susceptibility to urban environmental hazard is a theme that appears in several chapters of this book but nowhere is it more strongly presented than in this case-study of Lima. When a new national park or wildlife reserve is established, the press released tend to evoke images of the rescue of pristine nature and the protection of imposing and noble specied like the sequoia or the jaguar from the ravages of human greed and growth. In post-disaster reconstruction the social aspects of housing provision are important for the success of both emergency shelters and permanent housing, particularly in settlements that have been permanently relocated or entirely rebuilt. 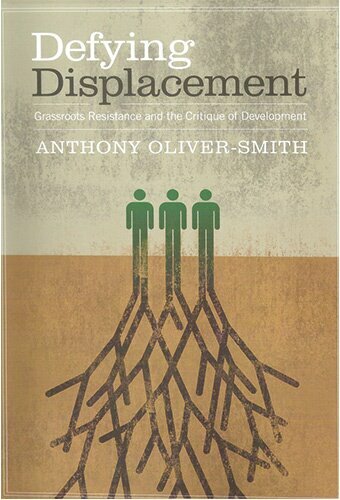 This paper examines the formation and evolution of social movements emerging from resistance to development projects and other causes that result in large scale removal of communities and people from home environments. In September 1988, Hurricane Gilbert swept over the Caribbean and the Gulf coast of Mexico, leaving havoc and destruction in its wake. The hurricane destroyed or damaged almost fifty-five per cent of Jamaica's housing stock. Disasters have been studied from a social scientific perspective for roughly seven decades. During this span multiple conceptual and the thematic foci emerged from a variety of origins, each contribuiting in different ways to the overall development of the field. 2015 FORIN: Root Cause Analysis and the process of development. Keynote Panel at The First Northern European Conference on Emergency and Disaster Studies, Copenhagen, December 9-11. 2015 Los Desastres, el desplazamiento y el reto del reasentamiento. Segundo encuentro internacional de familias en alto riesgo, International Organization for Migration (IOM)- Instituto Distrital de Gestion de Riesgos y Cambio Climatico (IDIGER) -Consultoria para los Derechos Humanos y el Desplazamiento (CODHES) Bogota, November 5. 2015 Environmental Change and Community Displacement: Resettlement Challenges in Gunayala. Invited Lecture, Department of Anthropology, Colorado State University. October 16. 2015 Non-Economic Loss and Damage (NELD) in Climate Change: An overview of the knowledge base to date. Keynote Lecture at the workshops Non-Economic Loss and Damage – What is it and why does it matter? 2015 El Cambio climático, el desplazamiento de poblaciones y el proceso de reasentamiento, Two workshops held in Gardi Sugdub, Gunayala, Panama (April 14) and the Panamanian Ministry of Environment and Centro de Incidencia Ambiental (CIAM), April 16. 2012 “Risk, Society and Culture,” Plenary Address at the Global Risk Forum, October 28. Davos, Switzerland. 2012 “Climate and Migration: Anthropological Perspectives,” presentation in the panel entitled “Climates of Migration,” Global Risk Forum, October 29. Davos, Switzerland. 2012 “Social Vulnerability, Climate Change and Development: A Matter of Choice?” Keynote Address at the Capstone Conference of the Munich Re Foundation-United Nations University Institute on Environment and Human Security, October 8. Bonn, Germany. 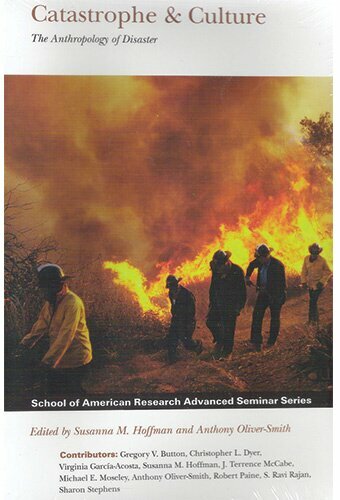 2011 “Defining Disasters: Key Concepts and Their Complexities,” Symposium on Disaster Research, Yale University, October 19. 2011 "Disaster Induced Displacement and Resettlement: An Additional Challenge of Climate Change," Keynote address as the symposium Populations at Risk of Disaster: Preventive Resettlement as a Disaster Risk Reduction Measure, World Bank, September 14. 2011 "Environmental Migrants? 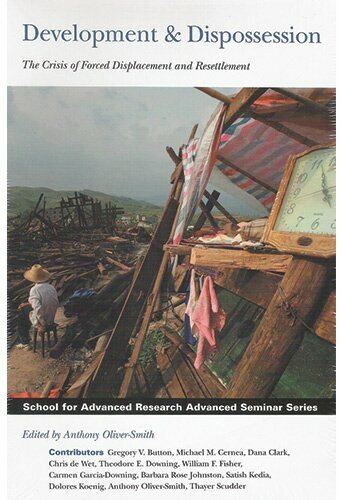 Nature Society and Population Displacement in the 21st Century,"
2011 "Conversations in Catastrophe: The Cultural Framing of Disaster Processes," Keynote lecture at the workshop entitled Cultures and Disasters at Bielefeld University, Germany July 6. 2010 "21st Century Risk, Vulnerability and Disaster: Anthropological Perspectives," Keynote lecture at the symposium entitled Catastrophes et risques: de l'empirique a la critique at the Centre d'Etudes et de Recherches Internationales, of Science Po CNRS, Paris, France, June 18. 2010 "Questions We Need to Ask Ourselves about Climate Change, Poverty and Environmental Justice," at the University of Tennessee Distinguished Lecture series on Human Rights, Disasters and Development, April 14,, Knoxville, Tennessee. 2009-“Out of Place: Mapping the Terrain for a Unified Theory of Involuntary Migration and Resettlement,” Keynote Lecture at the conference entitled The Role of the State in Population Movements: The Circumpolar North and Other Regions. Rovaniemi, Finland. October 26. © 2016 Anthony Oliver-Smith. All Rights Reserved. Web design customized, hosted and administrated by Web Art Hosting at Rochen.